FROM KELOWNA AIRPORT (110 kms to Salmon Arm; 130 kms to Sicamous) Hwy 97 north to Vernon and Enderby. Past Enderby the road divides into 97A & 97B. 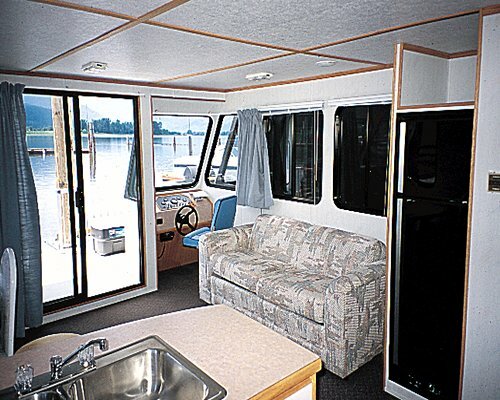 WEEKS 12-17 & 40-43 CHECK-IN AT THE TWIN ANCHORS HOUSEBOATS 250/836-2450. Stay to the right on Hwy 97A to Sicamous. Left on Kappel St. towards the lake, right onto Riverside Ave. & left on Martin St. to marina. 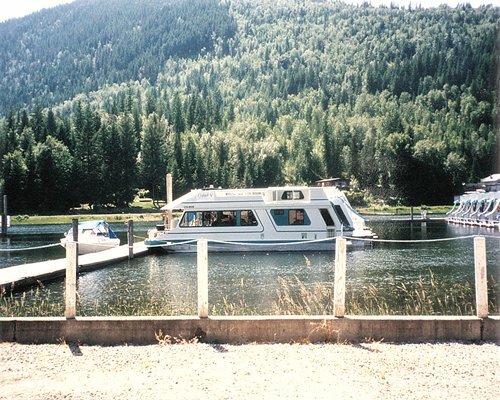 WEEKS 18-39 CHECK IN AT SALMON ARM BAY MARINA 250/832-2745. Take turn-off to Hwy 97B to Salmon Arm. Left on Hwy 1 into town. Right at Ross St. towards lake. Right onto Lakeshore Dr. & left over the tracks to the marina. FROM VANCOUVER: Hwy 1 to Hope, Hwy 5 north to Kamloops. Hwy 1 to Salmon Arm or Sicamous.